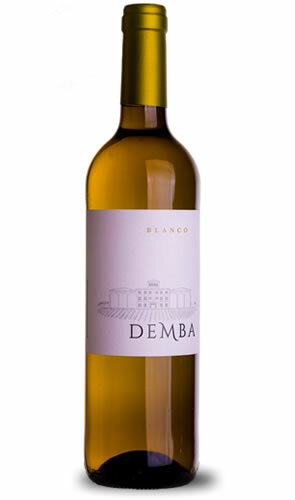 Demba White Wine. L&P Global. Viticulture: The grapes were grown entirely on the Ayles estate. The soil on this estate is largely reddish brown topsoil over calcareous rock and clay. The vines are on average 14 years old. Ayles, as is much of Aragon, is subject to the “Cierzo” a cooling wind of Aragon, is subject to the “Cierzo” a cooling wind from the North which brushes the terroir and serves as a natural dehumidifier for the vines. Extreme temperature fluctuations between day and night intensifies the flavours of the grapes and ensures the unmistakable richness of this white. Vinification: Temperature controlled fermentation, resulting in long lasting aromas and flavours. Afterwards comes clarification and cold stabilization. This is a modern, fresh style of white. Bright yellow colour, medium bodied. Fragrant, intense flavours of pineapple and citrics, crisp and dry with a smooth finish. Serve chilled on its own as an aperitif or to accompany a wide variety of salads, fish dishes like tuna, salmon, even roasted chicken with herbs.